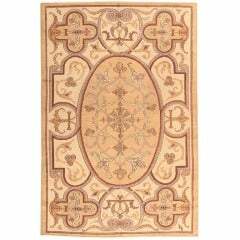 Beautiful room sized antique French Art Deco Lelue rug, country of origin / rug type: Antique French rugs, circa 1920. This piece is in excellent condition with good pile throughout. 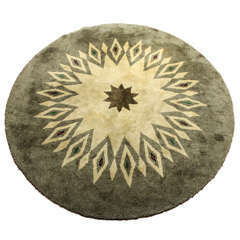 Magnificently beautiful vintage French Art Deco rug, Country of origin / Rugs type: French rugs, circa date: Second quarter of the 20th century. 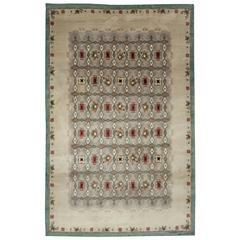 An antique French Leleu Art Deco carpet from the second quarter of the 20th century. 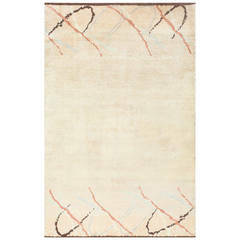 Vintage French Art Deco rug by Paule Leleu. Size: 10'4'' × 7'6'', circa 1950. An early 20th century French Art Deco. 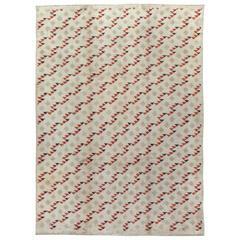 A French Art Deco carpet with of diagonal pattern compiled from diamond and triangular motifs.